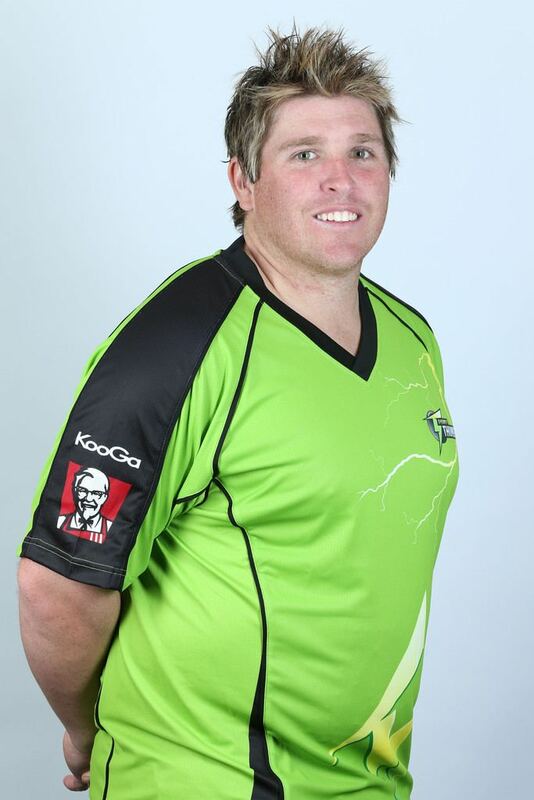 Mark James Cosgrove (born 14 June 1984, in Elizabeth, South Australia) is an Australian first-class cricketer. He is a left-handed batsman and part-time medium pace bowler. In 2005 Cosgrove was named the Bradman Young Player of the Year. Nevertheless, he was dropped from the state squad in early 2005 because of claims that he was overweight, but was reinstated a few months later. Cosgrove debuted internationally with a One Day International against Bangladesh at Fatullah Osmani Stadium, Fatullah on 28 April 2006, responding with an aggressive half-century. He was signed by Glamorgan in 2006 for the English summer, and was regarded as a dark horse for selection in the 2007 World Cup; however, a poor 2006–07 season with South Australia meant he was not selected. In 2007 he declined an offer to return to Glamorgan, instead joining the Centre of Excellence in Australia at the request of national chairman of selectors Andrew Hilditch. On 25 July 2007, Cosgrove was suspended from the Centre of Excellence for disciplinary reasons. On 28 September 2009 he once again signed to Glamorgan as their overseas player for the summer season. On 13 April 2010, while still only 25, Cosgrove was overlooked on a contract with South Australia and ended an eventful eight years with the state. Jamie Cox, the state's director of cricket, said he had not fulfilled his potential. "Mark has made a valuable contribution to South Australian cricket over many years, and I certainly hope there are other opportunities out there for him," Cox said. "We have worked hard with him during this time, but the unfortunate reality is that we were unable to help him fulfil his full potential." The decision comes after Cosgrove scored 511 first-class runs in 2009/10, including two hundreds, and also averaged more than 40 in the one-day competition. He contributed as South Australia progressed to the Twenty20 domestic final, but was not a part of the squad for the lucrative Champions League later in the year. 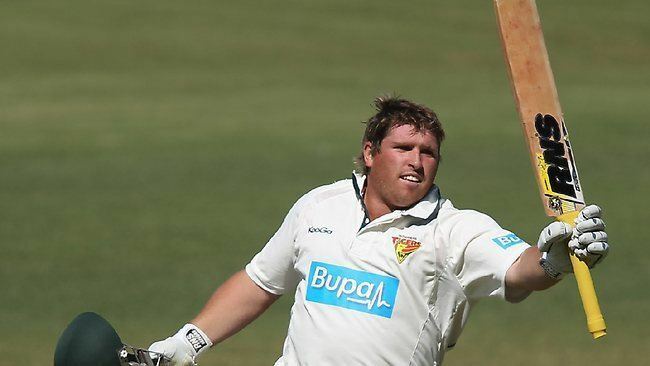 Cosgrove signed a new contract for the 2010/11 season with Tasmania and scored 806 Shield runs, the most in the competition. The following season was less successful, Cosgrove making 347 Shield runs at 34.7. In the Ryobi Cup (50 over) competition, Cosgrove made 203 runs (third-highest for Tasmania) at 22.25, but played only one game in the Big Bash League (20-20 comp) for the Hobart Hurricanes. In 2012/2013 Cosgrove scored 784 runs (avg. 39.2) in the Sheffield Shield, the second-highest aggregate in the comp behind Tasmanian team-mate Ricky Ponting.Cosgrove was less successful in limited over cricket, scoring just 51 runs in 4 games in the Ryobi Cup and 61 runs in 5 Big Bash League games, for the Sydney Thunder. In 2014 Cosgrove signed a 2-year contract to return to South Australia after refusing a 2-year extension to his Tasmania contract citing a preference to return to South Australia to be closer to family. At the end of 2014 season after Johan Botha's sacking as captain, Cosgrove now has the mantle of South Australia's overseas player as he has English qualification due to his years in the County system despite being born in Adelaide. In 2016 Cosgrove was axed by South Australia, he is still playing for Leicestershire.